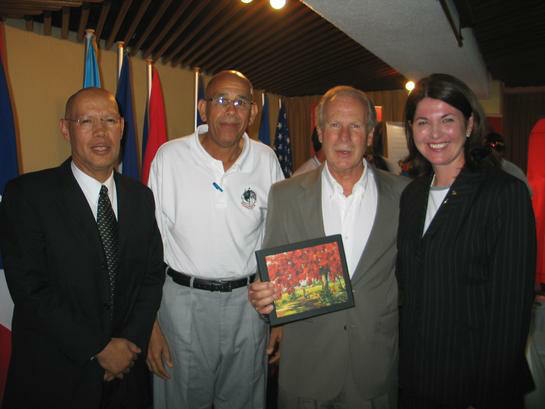 GUATEMALA, April 22, 2007.- The pairs of Puerto Rico and Cuba, in women and men respectively, won the second leg of the 2007 NORCECA Beach Volleyball Circuit held here during the weekend. Maritere Ramos and Ania Ruiz prevailed against Dominicans Margarita Suero and Bethania Almanzar after three sensational sets. The Puerto Ricans lost the opening set 24-26, but came back to win the second 21-14 and then triumphed 20-18 in the tiebreaker. In semifinals, Ramos-Ruiz defeated Canadians Sarah Pothhaar and Isabell Czerveniak by score of 21-18, 21-17. 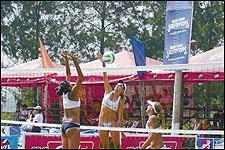 GUATEMALA , April 21, 2007.- The women�s duo of Dominicans Magarita Suero and Bethania Almanzar advanced to the semifinals of the Guatemala Beach Volleyball Tournament while recording two victories over Cuba and Guatemala-1 on Saturday. Suero-Almanzar first defeated Cubans Ion Canet-Kirenia Bell 21-15, 14-21, 15-9 to win Pool C and then scored a 21-17, 23-21 victory over the locals Maria Orellana-Anna Ramirez. 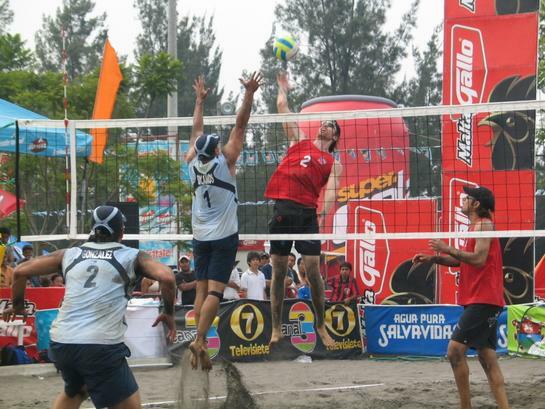 GUATEMALA , April 20, 2007.- Men�s Teams of Puerto Rico won their five matches on Friday during the first day of action of the Guatemala Beach Volleyball Tournament, the second leg of the 2007 NORCECA Circuit at Campo Marte located in downtown of Guatemala City . The pair of Joseph Gil-Ryan Underwood of Puerto Rico-1 prevailed in their three outings to finish first in Pool D, while the duo of Juan Carlos Rivera-Abdel Otero of Puerto Rico-2 was successful in two contests in Pool C.
GUATEMALA, April 19, 2007.- Fourteen men� pairs and a dozen of women� duos will be taking part in the second leg of the 2007 NORCECA Beach Volleyball Circuit at the Sports Park of Campo Marte in Guatemala City starting on Friday. The competition was scheduled to start at 8:00 during the weekend with the finals programmed for Sunday in both genders.